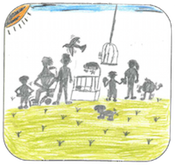 VICSEG New Futures is a not for profit, community organisation incorporating the Victorian Cooperative on Children's Services for Ethnic Groups (VICSEG Programs for Families, Children & Young People) and New Futures Training. Together VICSEG Programs for Families, Children & Young People and New Futures Training provide support and training to newly arrived and recently settled migrant communities throughout the northern and western Melbourne regions. VICSEG New Futures' commitment to providing "Opportunities for Diverse Communities" is practised throughout every one of our range of programs. For over thirty years the Victorian Cooperative on ChildrenÕs Services for Ethnic Groups has been a pioneer of innovative and culturally responsive programs to address the migrant settlement needs of young people and their families. At VICSEG New Futures, as our combined name illustrates, collaboration and partnerships are at the heart of how we do things.